Magic Cookies! Erie's Best Cookies! The Magic Cookie Company. We are famous for ours. 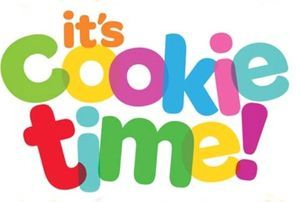 Unlike a store-bought, machine-driven cookie, "Magic Cookies" are hand mixed, cut, scooped and packaged every day. Our recipes are decades older then the bakery itself, and have been bassed down from generation to generation. you don't even need milk! 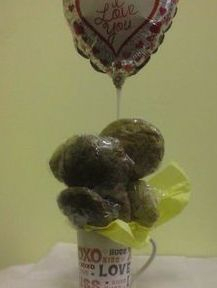 Everyone loves our cookies! 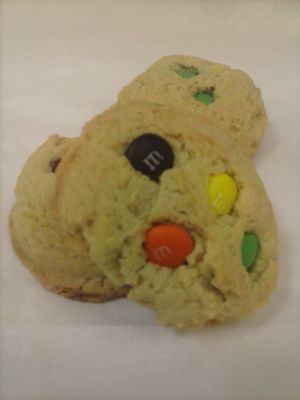 Once you've tasted our "Magic Cookies" we are confident that you will agree they are well worth the extra special care and time we put into them. ready available at the 702 Raspbery Store. All other varieties are available at our 9th Street locations. 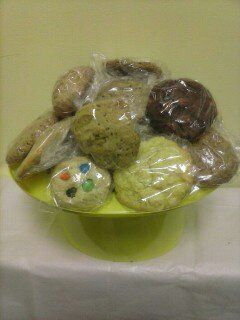 All Cookies are available for special order per request. your holiday parties, and social gatherings! IN ADVANCE OF YOUR EVENT. 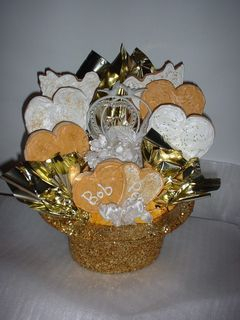 Decorative Cookie Cutout Hats-Can be made in most any shape or style of event, holiday, occasion. Frosted Cutouts-Our Frosted cutouts are toped with Chocolate, that's right Chocolate! We can do any shape for any holiday, reason or season. 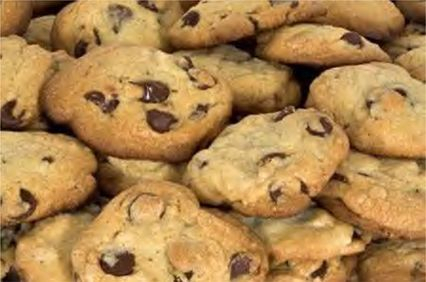 ♦The Chocolate Chip-The ordinary will never by the same again with this classic cookie. We have brought back the 'Magic' to America and Erie's favorite cookie flavor with rich semi-sweet chocolate in soft, buttery dough. 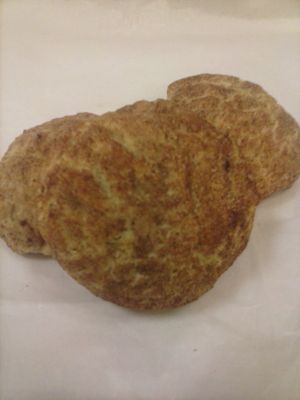 ♦The Snickerdoodle- The sweet stepsister to the sugar cookie, our Snickerdoodle is a sweet, spicy flavor cinnamon sugar cookie with a crackled surface, rolled in cinnamon sugar for more added goodness. Once you’ve had one, you are hooked for good! 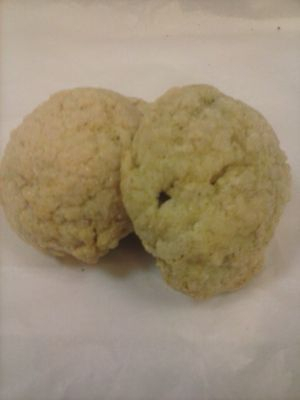 ♦The White Chocolate Walnut- Cousin to the Chocolate chip, the white chocolate gives a rich taste to these cookies and are joined with tender walnuts for more added yummy goodness. ♦The Triple Chocolate- The Ultimate Chocolaholic’s Dream! 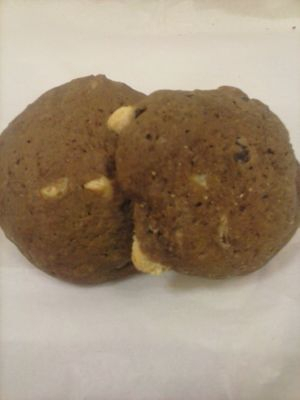 Chocolate buttery dough, with white and chocolate chips all mixed together to form a divine Magical cookie! 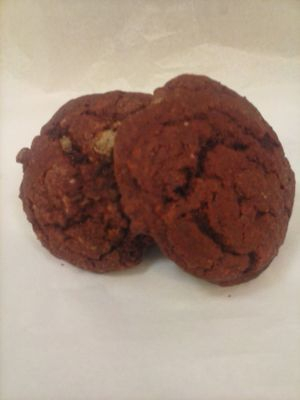 These cookies are to die for, and you will defiantly believe you are in chocolate heaven! 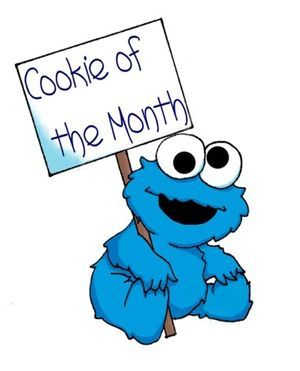 "The Cookie Man! 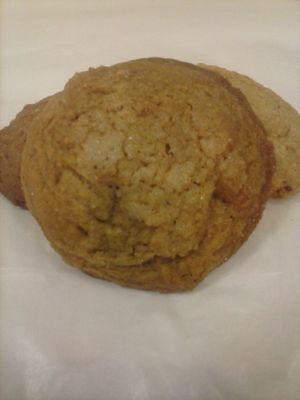 "-The First cookie that I developed on my own to celebrate what would have been my dad's 70th birthday in January of 2011. The Cookie Man is made with everything that my dad loved about baking, Chocolate Chips, Peanut Butter Chips, Oatmeal and Walnuts! 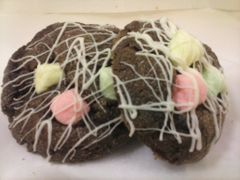 ♦Chocolate Raspberry Truffle-Was Feburary 2010 Cookie of the month and we kept it on as a regular since everyone LOVED it! A Raspberry red velvelt like cookie with chocolate chips hidden inside the redness of the raspberry goodness. It will be one of your favs in no time! ♦The Peanut Butter- Packed with yummy peanut butter goodness, these Peanut Butter cookies are great with a large glass of ice-cold milk! 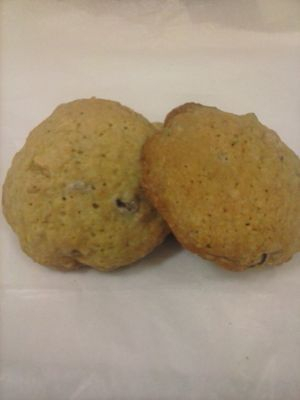 The Oatmeal Raisin Butterscotch-Chewy fresh raisins coupled with sweet butterscotch chips in a soft homemade style cookie conjures up childhood memories of baking with your grandma. 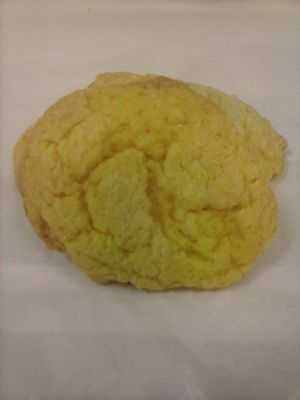 One of the first 'Magic Cookies' it is also one of the most popular. 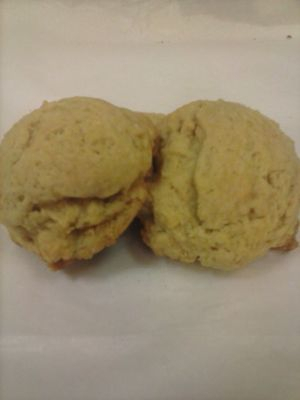 ♦The Lemondoodle-The way distant cousin to the Snickerdoodle, these lemony buttery sugar cookies have just a hint of lemon that will leave you with a happy, summery feeling in your belly. 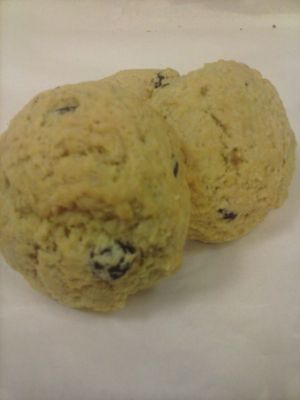 ♦Cookie Dough-"A Naked Cookie" Just plan cookie dough, no chocolate chips, or snickerdoodle coating, just the Cookie Dough! Yummo! 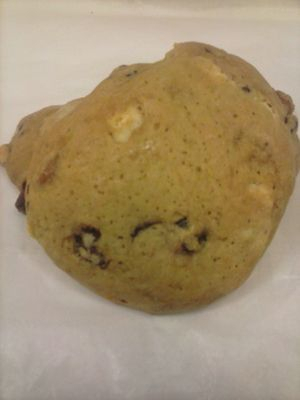 ♦Cereal and Milk-Our Cookie Dough Cookie topped with rich white chocolate topped with fruity O's. Who need a bowl! 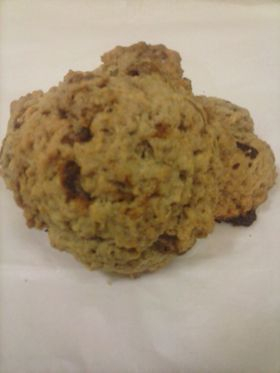 ♦Cinnamon Oatmeal-Our Yummy Oatmeal baked with Cinnamon Chips. It is a little spicy...but allllll sooooo yummy! 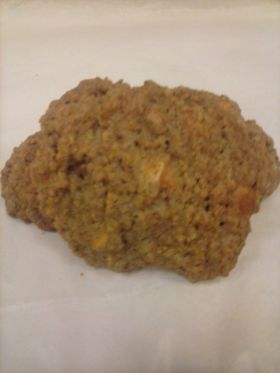 ♦Blueberry Oatmeal- (Seasonal)-Our Yummy Oatmeal cookie baked with fresh blueberries. It's almost like you're eating something good for you...in a cookie! Printable Version of Cookie Menu coming soon!